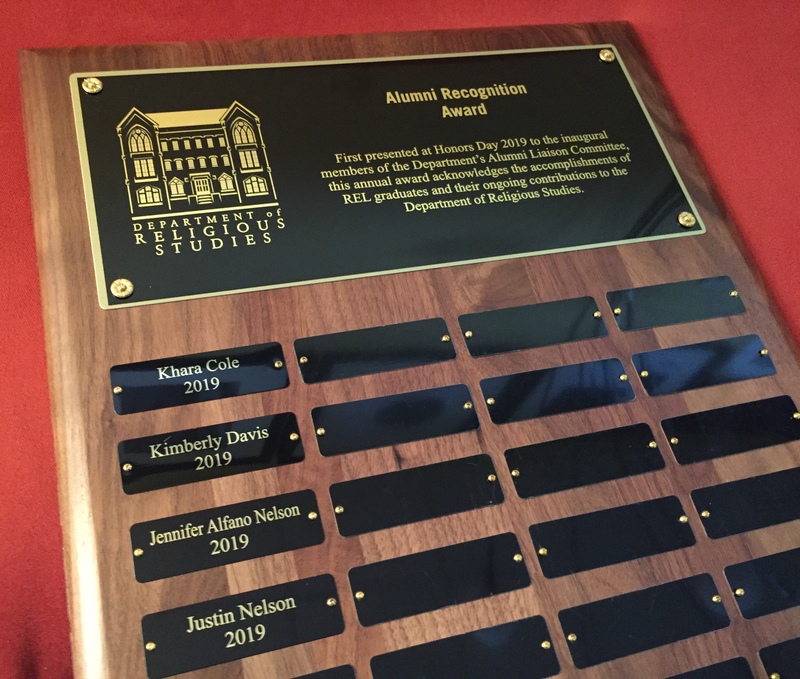 In the Spring of 2019 the Department established a new annual award, to acknowledge both the continuing contributions that REL grads make to the Department and its current students as well as the interesting and sometimes unexpected things that our grads have done after they’ve left Manly Hall. The Alum Recognition Award will be determined by faculty each year and awarded at our Honors Day ceremony. Grads receiving the award will be notified ahead and invited to attend. To assist us with this process, we welcome nominations, which must include a letter describing the nominee’s work and accomplishments since they graduated. Contact the Chair of the Department if you have questions or wish to make a nomination.